As an amateur photographer I take a lot of inspiration, and learn new skills, from my son who is a qualified professional photographer. As any semi-professional and professional photographer will know it takes a few years to build up a client base before becoming profitable. Therefore, with the expense of equipment these days, cameras, lenses, lighting with ancillary equipment, storage and computer equipment the first few years as a freelance photographer has to be on a shoestring budget and that's where innovative thinking in adapting everyday objects and old equipment into usable and practical camera equipment and accessories can pay dividends. With my son recently graduating at university with a degree in Broadcast Media, and setting himself up as a professional photographer, he needed ancillary equipment that does the job just as well as professional kit but at the fraction of the cost. This article looks at some of the innovative ways I and my son used to create much needed photographic and lighting equipment on a shoestring budget for his photography business. 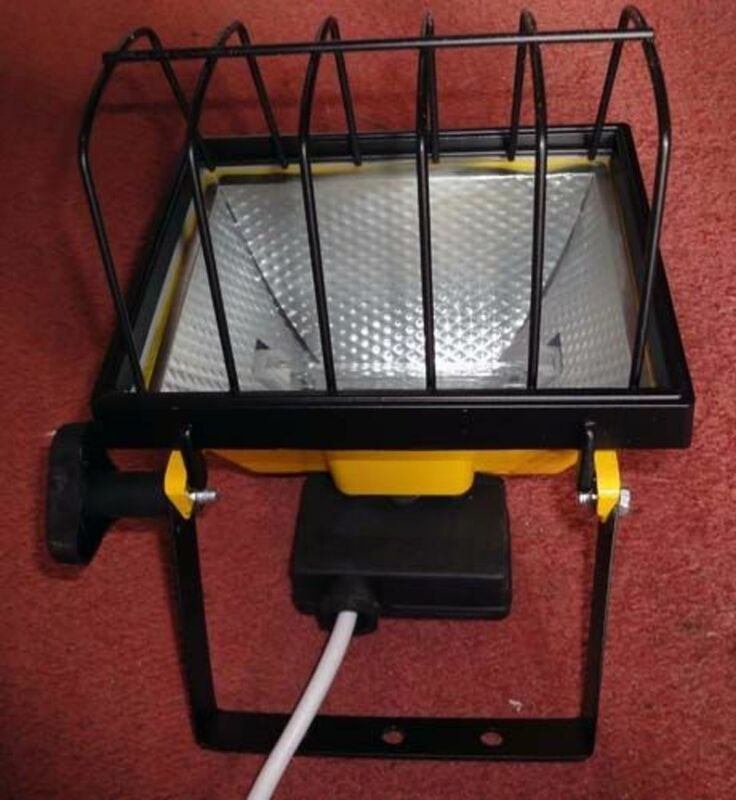 By sharing our knowledge and experience I hope we can inspire you to adapt kit and save money (maybe even by adapting some of our ideas to meet your needs) so that from the savings you make investment in new equipment can then be targeted to where it is most needed e.g. by investing in a professional or semi-professional camera. Having graduated from Bath Spa University with his Broadcast Media degree and with photography being a hobby my son set up his own filming and photography business. Currently he is working on a number of projects (some voluntary work) as he develops his personal photography style and techniques, finds his niche in the market and builds up his cliental. An adventure that in the short term is personally rewarding and in the long run profitable; although the road to profit and fame is a long one there are lots of personal achievements to be made on the way. To help others decide whether to embark on this long and potentially exciting road I've written a separate ‘hub page article’ on this subject, which goes into greater detail of what's involved, what the rewards are and how one may go about exploring this fascinating multimedia world further. Many rich and famous inventers started their careers in their garden shed and if you're a photographer it could be your loft or any other spare room in the house as few people starting down the road of photography can afford their own film studio when starting up, but there are great savings to be made on a shoestring budget and a little imagination by adapting a spare room into a film studio. As our spare bedroom has already been converted to our home office we didn't have a spare room suitable for a studio so we looked to the loft space as an option; at the time the loft (which had previously been done over in 'Changing Rooms' style) housed Nathanville, our model railway village. So out goes the model railway and after a little investment on structural work, the installation of a skylight and a studio makeover we had ourselves a studio on a shoestring budget; the film studio being painted white with light flooring for maximum reflection of light. Details of our conversion are covered in the article below. 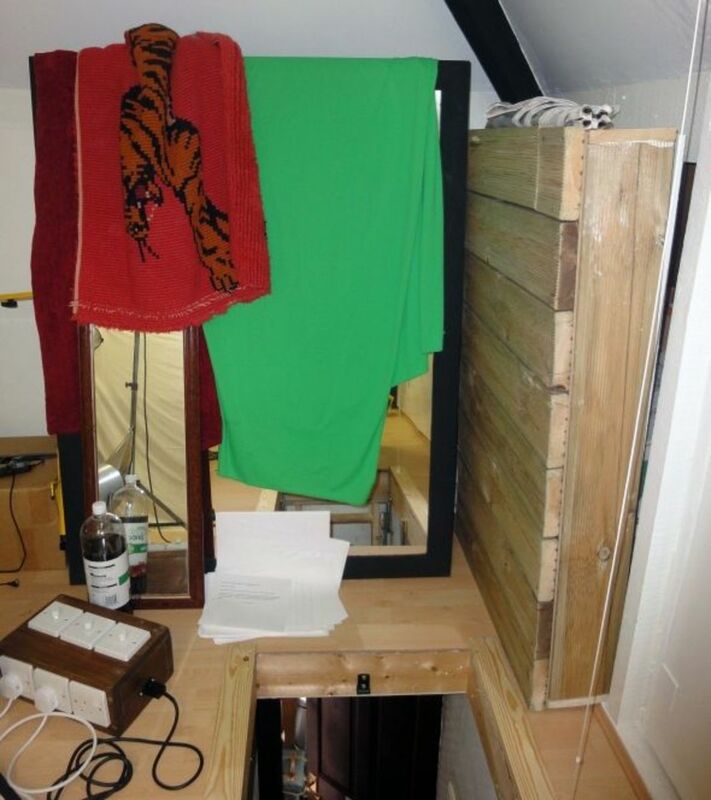 We fitted a blackout blind to the skylight, and a seat that fits over the loft hatchway (made using decking for safety and strength) to block out natural light when filming so that the studio lighting can be precisely controlled. A great kit that includes everything you need to get yourself started in setting up your own home lighting studio for photography, including a large background stand, lighting, umbrella reflectors and various chromakey colour backdrops. The key is natural lighting and neutral backgrounds. There's nothing worse in a good portrait photo than unwanted background clutter distracting from the main subject and ruining what would otherwise be a good picture, therefore the importance of using suitable backdrops can't be stressed enough; whether it be trees, sea and sky in the background or in a studio with a backdrop curtain of a suitable colour. 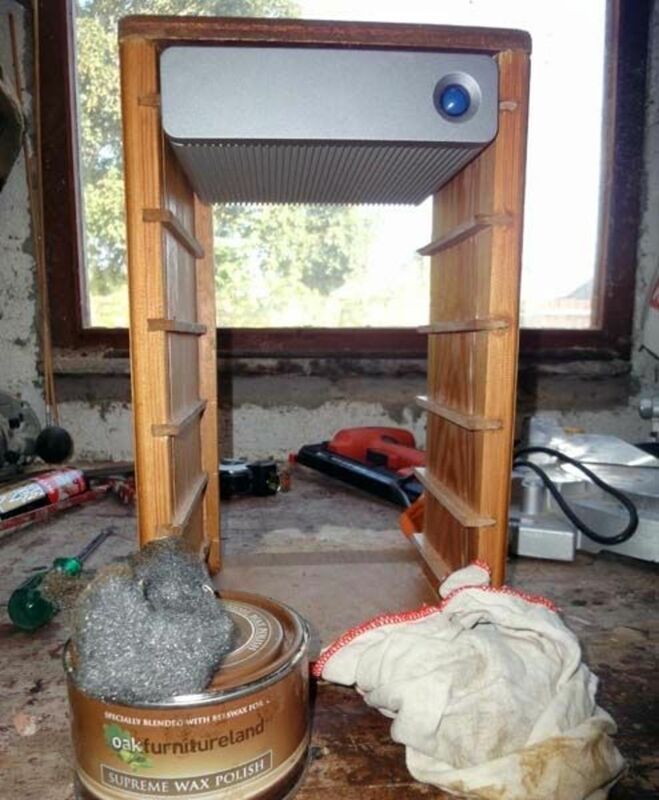 Buying coloured screens can be expensive. Sometimes the Pinnacle Studio and Avid Studio package for video editing includes a green screen but otherwise the purchase of professional photography and studio filming screens or blackout screens is usually quite expensive but you can save a bit of money by buying cotton bedding sheets of the same colours blue and white for the backdrop screens (and green) and black upvc pond liner instead of blackout curtains; which is what we did; except we already had the green from when I purchased the Avid Studio video editing software. 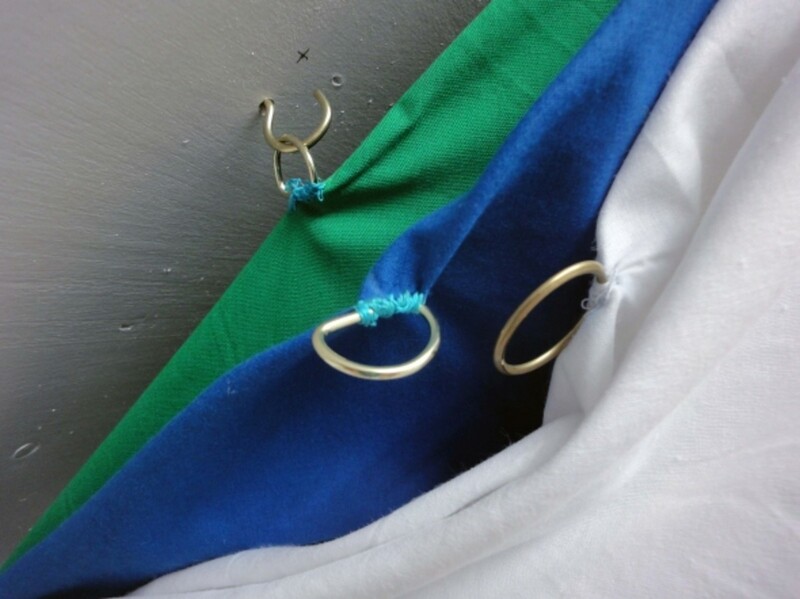 I also inherited a black out curtain used by my grandparents during the second world war which although I have no intention of defacing I am more than happy for a few curtain rings to be added to it to put it to good use as a black backdrop when required. 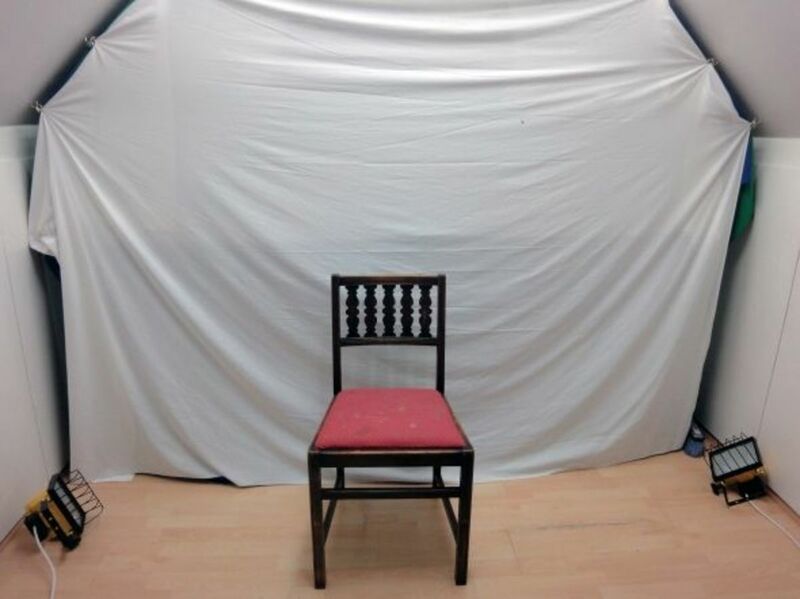 Having purchased your coloured cotton sheets for backdrops in your film and photographic studio you then need to find a convenient way of fixing them up for easy use. In a conventional room it should be quite easy to hang them like curtains on a series of curtain rods, one set a couple of inches in front of the other; each one with a different coloured curtain so that you can pull across the coloured curtain you wish to use when required. However, in our case, as we're hanging the coloured curtain backdrops in the converted loft studio we needed to adapt the hanging to suit the shape of the roof; and we did this by sewing rings at regular intervals to match the slope of the ceiling, and putting in corresponding hooks in the slopping ceiling; as shown in the photos below. 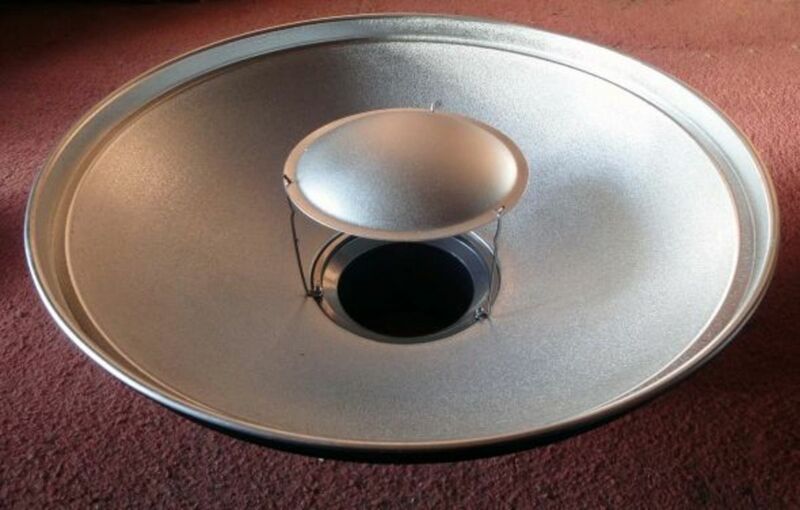 The pond liner is cut to convenient sizes to fit doors and windows, and temporarily fixed in place with sellotape, when filming in other rooms (or other interior locations) where it's important to obtain correct and controlled lighting and where and when it's appropriate e.g. few clients will want you sticking black plastic sheets over their windows but if it's part of a co-ordinated low-budget filming project then getting the lighting right can be important as part of the successful production of a professional film. Natural Brick as an alternative background for photography, concealed behind the backdrop curtains. The importance in studio photography of props and mirrors for scene setting can’t be stressed enough. Portraits will often be the person centre stage with a neutral background e.g. the coloured screen although for some scenes such as period or costume photo-shoots, or product photography then appropriate props play a role. Props don't have to cost the earth, you can look around for bargains in second-hand shops, antique shops and salvage yards and acquire odd items and bits of old furniture no longer needed around the home. So for props the odd redundant dining chair and old coffee table along with a selection of knick-knacks have found their way into my son's film studio from around the house, along with a collection of old cameras donated to him which is proving useful. We also managed to pick up a bargain full size mirror from a second hand shop very cheaply. 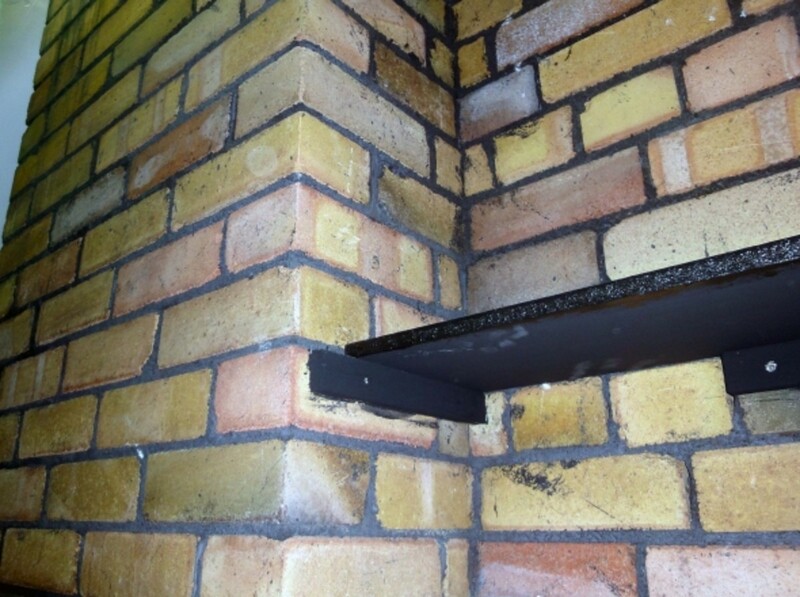 It was designed to fix to a wall and in the frame the mirror was too big to fit through the loft hatch. I'd done careful measurements before we bought the mirror so I knew that by carefully taking the mirror out of the frame the mirror would just slip through the hatch into the loft as would the frame with a bit of twisting which without the glass was feasible. 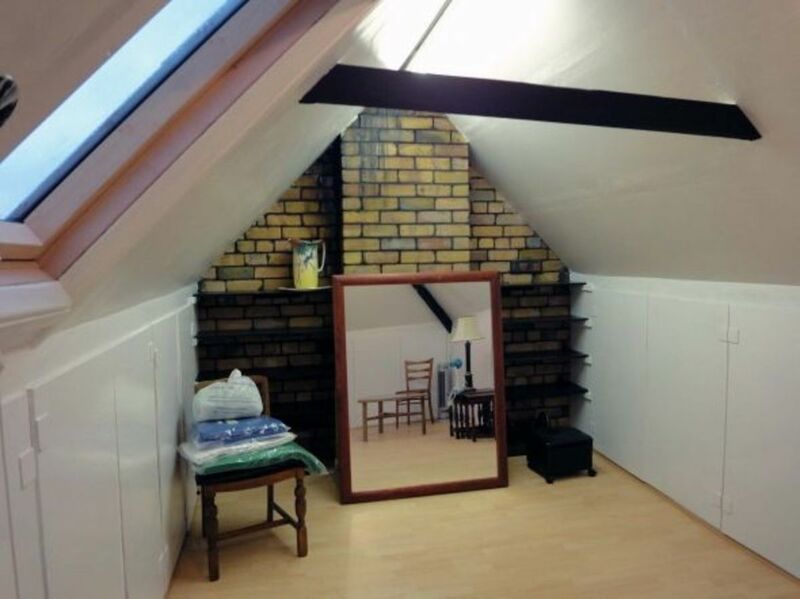 And once the mirror was in the loft, as we wanted it as a floor standing mirror and not a wall mirror, I went down to my home DIY workshop where I made a simple wooden base and back support for the mirror which we assembled in the loft studio and fitted to the mirror. 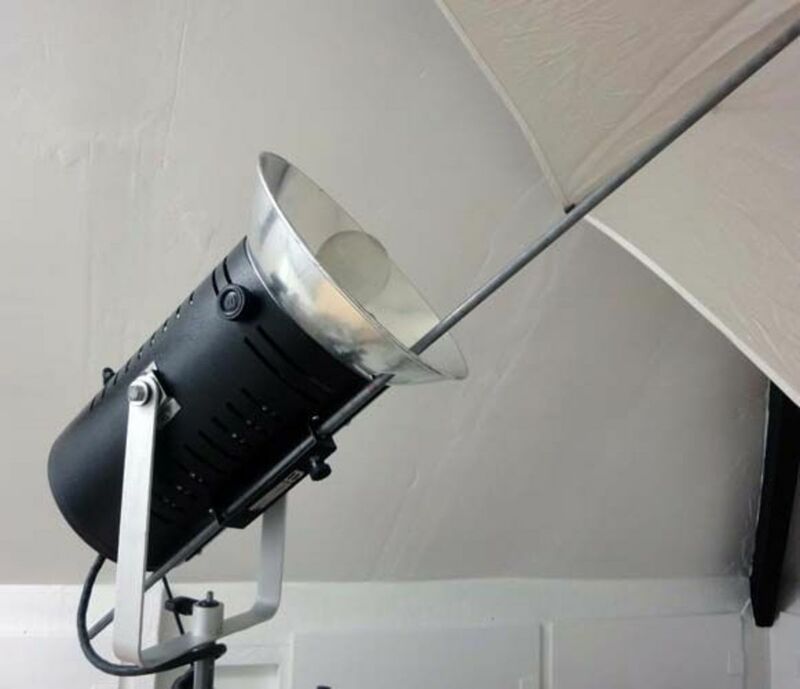 My son has an old version of this lighting system, three lights of this kind in total which he finds invaluable; he frequently uses them in his studio and on location when filming. 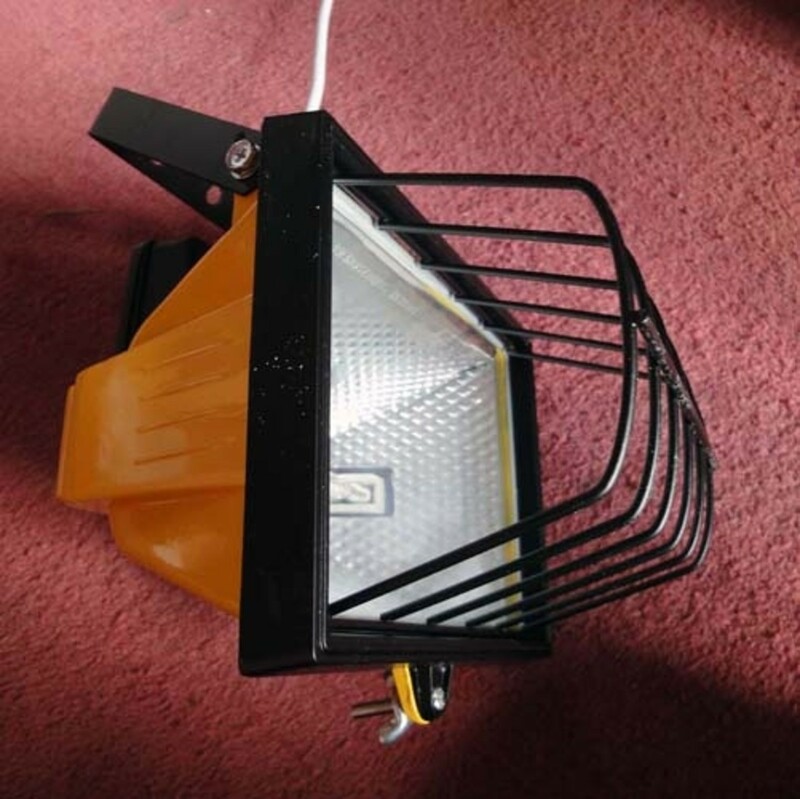 For a professional, semi-professional and at a pinch a serious amateur who wants the best these lights can be extremely useful to get the right lighting effect, especially when used in conjunction with beauty dishes and soft boxes on a suitable chromo background. Flashlights, Flashguns and Studio Lights play an important role in studio photography. We managed to pick up three old Bowen freestanding flashlights (two with snoots and photography umbrellas) for a fraction of the price for new ones so it does pay to look around and pickup bargains when you can; the purpose of the snoots is the opposite to umbrellas and soft boxes e.g. they concentrate the light into a narrow beam rather than spreading it. Studio lighting is another must for a film studio but professional units can cost as much as 5000 each; that was the value of the two lighting units my son borrowed from university to complete his short video film as part of completing his degree. They were great units though, for him to complete his degree project we temporarily converted our dining room into a set and set up the light units on the window seal behind the curtains. For full effect we placed four wooden battens inside pipe insulation (to give a soft grip to the lights) and wedged the battens behind the curtain rail at the top and the radiator below the window; the battens in front of the lights preventing any risk of them from toppling off the window seal. Then once we fixed a blackout sheet over the window from the outside my son, using the controls on these very expensive lighting units, was able to create any intensity of natural day lighting shining through the curtains into the room to mimic natural day lighting at any time of day from dawn to dusk. The brightness of light isn't the key issue, it's how close to natural light that matters e.g. white light which you get from halogen lights but not tungsten lights which produce a yellow light that's no good for photography. Obviously such lighting is beyond our budget at this time but after doing a lot of research we soon realised that halogen lights used on building sites provide the same type, brightness and intensity of some studio lights but at the fraction of the cost; excepting they don't have any means to control brightness. 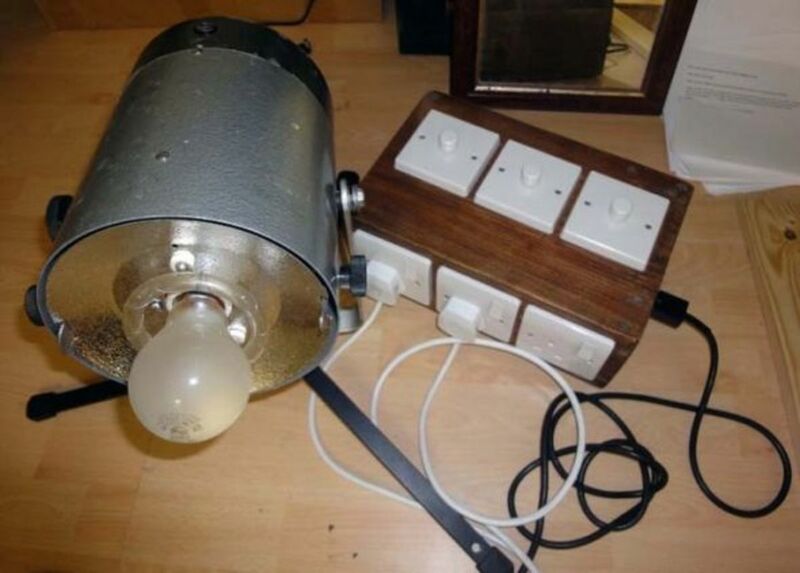 Anyone who has fitted dimmer switches to halogen lights may have become aware of the issues, specifically that halogen lights produce a lot of heat and can overheat dimmer switched if the wrong dimmer switched is fitted. 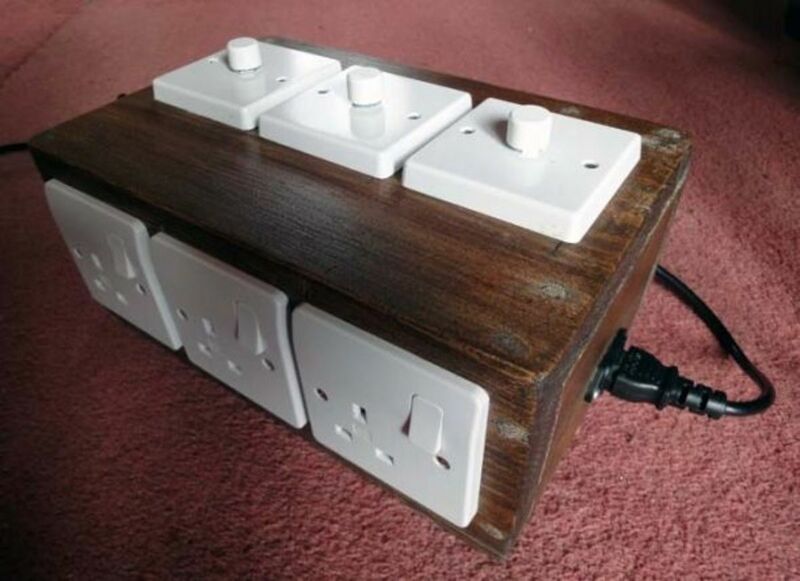 It's something we did a lot of research on to find the best dimmer switches, suitable to work with powerful 500w building site halogen lights, enabling us to buy and adapt three 500w halogen lights (each separately controlled by its own dimmer switch) for less than 100, saving 1000s ($1000s). 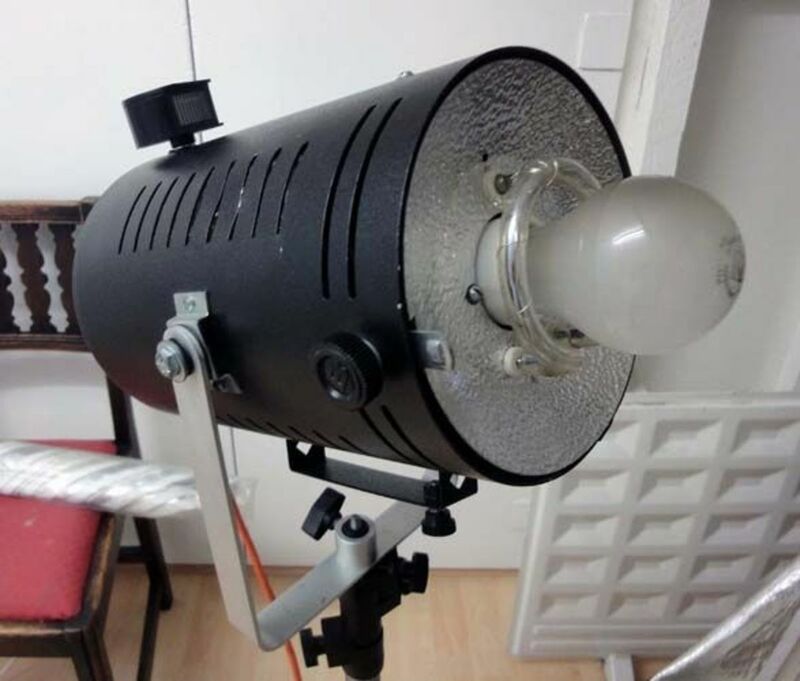 The full details of our research for adapting halogen lights with suitable dimmer switches to create studio lighting on a shoestring budget is covered in the article below. This beauty dish is reviewed below where I explain in some depth how it diffuses lighting compared to soft boxes and umbrellas to get the desired results for digital photography. If you take photography seriously as an amateur or semi-professional and are setting up your own home lighting studio then this beauty dish would be a great asset. An excellent softbox by InterFit which is almost identical to the one used by my son as a professional photographer; gives a soft light ideal for portrait photography. 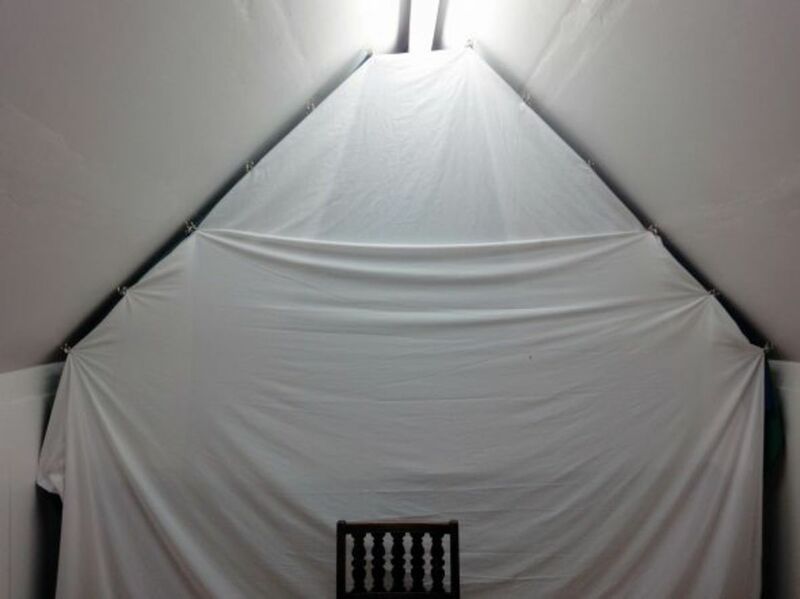 The softbox is lightweight and folds away for easy use on location. For professional studio photography in the days of analogue 35mm film deflecting studio lights from lighting umbrellas was the order of the day for softening the shadows, or using a snoot to direct the light straight onto the subject to give sharp shadows; these days with digital photography beauty dishes and softboxes to diffuse the lighting. A soft box is a light weight box, usually canvas or similar opaque material with a reflective surface for the sides with a translucent covering over the top. The flashlight, Speedlight or flashgun fits into the base of the softbox and when used the translucent covering gives a diffused lighting on the subject softening the shadows, similar to umbrellas lighting but with some subtitle differences as demonstrated in the video below. A beauty dish is a parabolic dish with reflective sides and instead of having a translucent cover to diffuse the light has a parabolic plate at the top of the dish that covers the primary light source only reflecting it back into the dish from where it reflects off onto the subject. 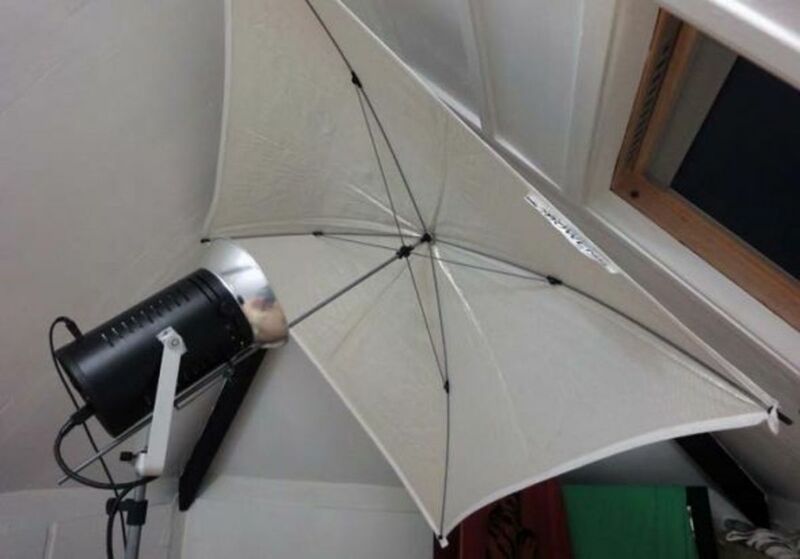 The beauty dish will give lighting somewhere between that of a softbox and an umbrella e.g. the shadows around the subject will be softened but on the subject will be a little more pronounced. Softboxes and beauty dishes can sometimes be expensive, costing £100s ($100s) although prices have come down since I started my research, so consequently there are a lots of websites and YouTube videos showing you how you can make your own, often for softboxes from lightweight materials like cardboard, hardboard, tinfoil and white cotton sheeting (or similar materials), and for beauty dishes plastic bowls. Bounce boards are portable lightweight flats or plane reflector used in photography and filming to bounce stray light back onto the subject area, and play an important role in controlling contrast, as opposed to other forms of reflectors such as umbrellas, soft boxes, barn doors and beauty dishes that control the highlights and shadows in filming. A natural bounce board commonly used by photographers is pointing a flash at a white ceiling and bouncing the light off the ceiling to create the desired effect; white walls in a room will have a similar effect. 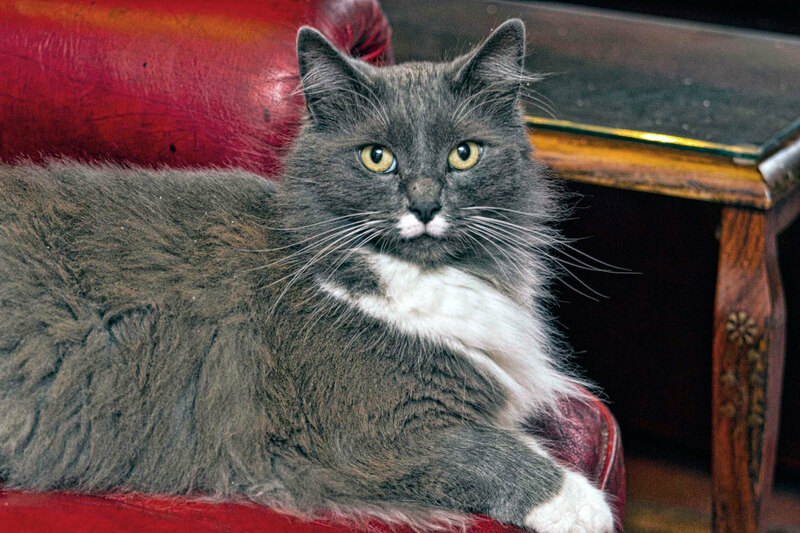 Bouncing the light from a flashgun off the ceiling can also help to reduce the red-eye effect. 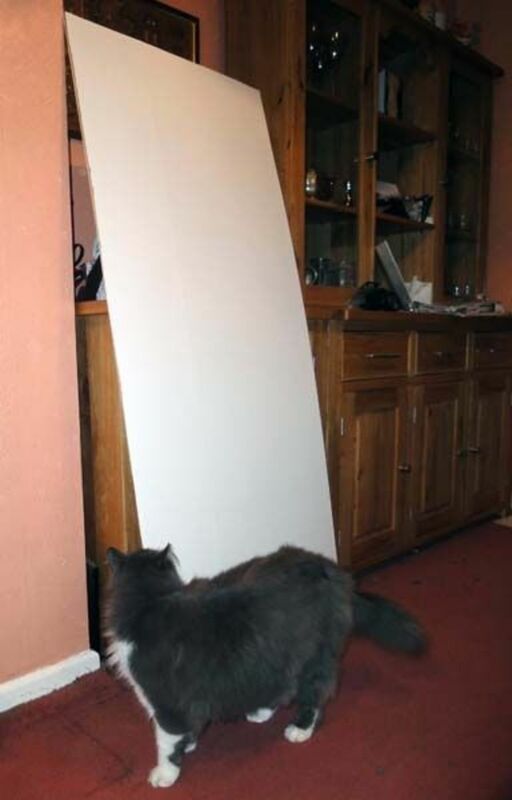 In filming bounce boards used to control contrast typically consists of a couple of people holding large sheets of thick white polystyrene which being a matte surface would have a reflector factor of about 2; compared to a reflective surface such as a mirror or tinfoil that may have a reflector factor as high as 6. Polystyrene is used because it's lightweight so a person can hold it where required much longer than a bounce board made from heavier materials; and polystyrene is cheap to buy which when you're on a low budget is a bonus. White is ideal for bounce boards as they then reflect the light back on the subject area in a diffused way as opposed to a reflective surface such as a mirror or tinfoil that would be more directional and act more like a secondary spotlight affecting the highlights and shadows more than the contrast. Also, the closer bounce boards are to the light source the more intense the reflected light. 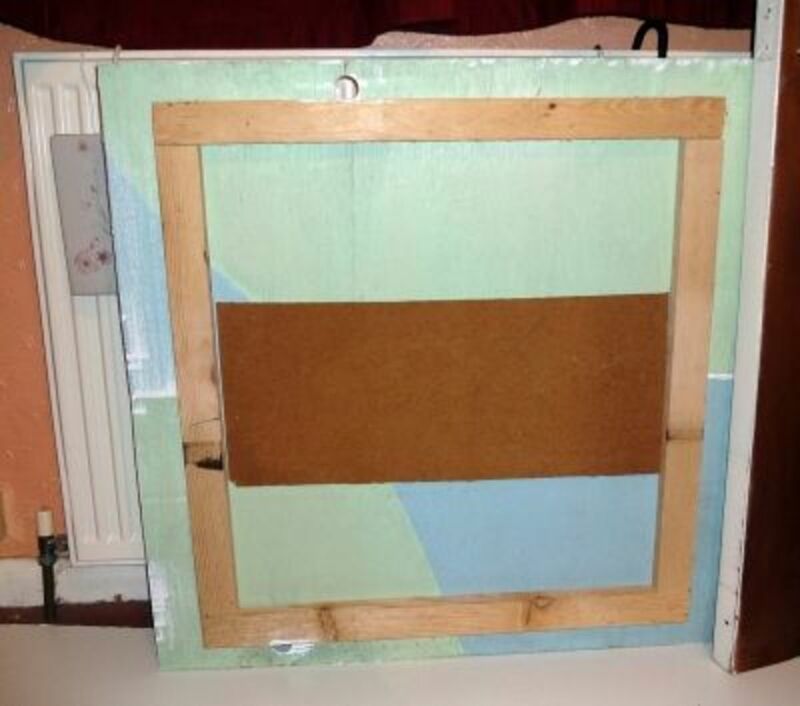 For the first bounce board I had a sheet of 3.6mm (1/8 inch plywood) about 2 feet (60 cm) by 5 feet (1.5 metres) in the shed which I kept from when earlier in the year we had a piece of oak furniture delivered where the plywood had been used at the base of the box as packaging. I also had a large piece of white hardboard from when we were given an old wardrobe by a friend to use as scrap wood. The white hardboard was slightly larger than the thin plywood so I cut it to size and stuck the two materials together with 'no nails' wood glue to create a readymade lightweight bounce board; which with the two sheets stuck together is firm enough to stay rigid when in use. The second bounce board uses a lightweight wood frame that was packaging, at the base of the box for a cooker we had delivered a couple of years ago. To this I stuck a couple of small pieces of 3.6mm plywood and reinforced the back with a bit of spare hardboard. And to finish it off I just painted the front surface white. This created a second bounce board that is lightweight and is easy for someone to hold during filming; the overall size being just over 30 inches square (75 cm square). In filming the bounce boards are portable and handheld so that people can be directed in holding the bounce boards on the fly as appropriate. If you're doing your own photography not only wouldn't you have anyone to hold bounce boards for you but also the setting or subject being photographed is likely to be more static. So for your own still photography as well as making bounce boards you'll also want to construct a simple stand or feet to prop or stand your bounce board on. If you make the bounce board swivel on the stand (like a mirror on a dressing table) then this should give you more directional control, especially if you constructed the stand to be able to raise or lower the height of the bounce board. The LCD Monitor my son uses is a 7 inch high brightness 800 x 480 LCD Field Monitor with HDMI Loop-Through which provides valuable visual information for both the camera operator and director (showing what the camera sees) and can be remotely controlled to control the camera so that colour correction and white balance can be done on the fly reducing the work in edit during post production. Marshall Electronics Broadcast Multimedia Division description and specifications for 7" Small Portable Field / Camera-Top LCD Monitor model V-LCD70XHB-HDIPT. A shoulder rig is as the name may suggest is a rig for supporting a professional camera (and other ancillary equipment) that rests on shoulder. The shoulder takes the weight of the equipment and keeps the camera steady when filming to eliminate camera shake and ensure smooth action motion; the rig being supported and controlled by two had grips. The shoulder pad which can be used on the left or right shoulder is well padded for comfort. A simple description is two parallel tubes that support a camera with an arm rest at one end and two hand grips at the other. 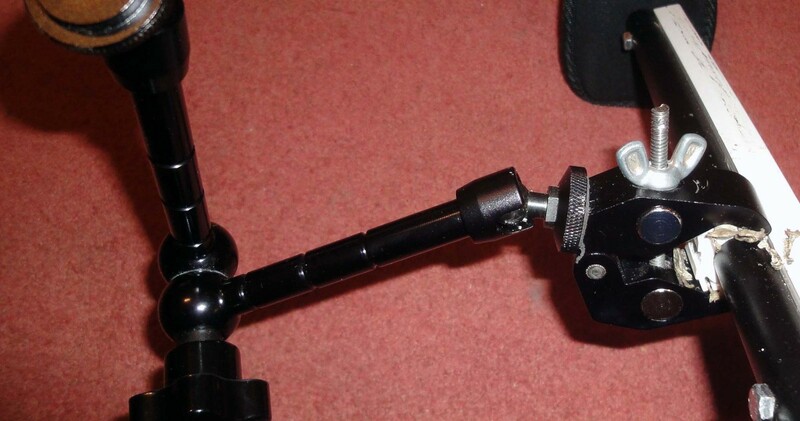 The mounting attachment for the camera and the hand grip support slide along the two tubes so they can be tightened in place where required; so everything is fully adjustable. Mounting arms can also be attached to either of the two parallel tubes for supporting additional equipment such as LCD Monitor. It all sounds very fancy and a top range shoulder rig that does just the business can be over a $1000, which if you're on a shoestring budget is a lot of money; but for about $200 you can buy good substitutes that work just as well, although they may need a bit a tweaking. The support clamp for the LCD Monitor didn't grip the tube securely enough so that it would slide around under the weight of the LCD Monitor. Other than these two issues the shoulder rig is brilliant and does an excellent job; being easy to use and comfortable on the shoulder. To tackle the first issue didn't cost me anything and only took two minutes to resolve. The pipe used is 15mm which is the same diameter as copper pipe used in the UK for water and gas in the home; and as it happened I had spare piece of copper piping in the shed that was four foot (1200mm) long so I just cut it in half; giving two parallel tubes twice the length of the original allowing for even the biggest of lenses to be used when filming. Firstly, the rig attachment for the 7 inch LCD Monitor we bought was an 11 inch articulating magic arm and support clamp for mounting a Monitor LED light LF82 but ideal for the 7 inch LCD Monitor. It seemed good value for money but broke on first use because the securing bolt for the clamp was just soft alloy that was hollow at one end. Rather than return it for a replacement (which would have the same design flaw) I just went down to the shed to find a sturdy bolt with a wing nut to fit the clamp. The replacement bolt and wing nut does the job just as well as the original bolt and wing nut but is much stronger. Secondly, although the clamp (once tightened with the wing nut) grips the pipe strongly so you can't budge it by hand once you attach the LCD Monitor it does slip. The problem is one of physics in that the articulating arm that supports the LCD monitor is 11 inches long and due to its length it effectively becomes a leaver magnifying the downward force from the weight of the LCD monitor many times on clamp with the net result that it slips; obviously on the more expensive shoulder rigs they have a technical solution. My solution was to screw a rigid piece of spare drawer runner (rigid white plastic) I had in the shed to the side of the main tube on the shoulder rig. So now as the clamp tries to slip round under the weight of the LCD Monitor the edge of the clamp pushes up against the drawer runner; the harder it pushes the greater the resistance, see photos. 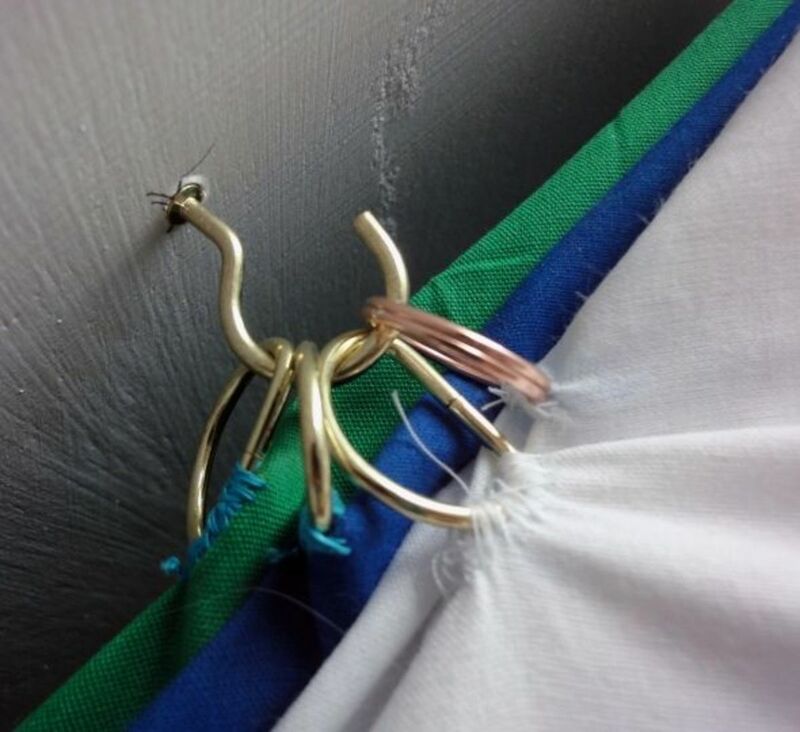 Maybe you'll not have these issues but it does demonstrate that if you buy cheaper equipment on a shoestring budget that's not quite right for your needs then with a bit of ingenuity and some jerry rigging you can often fix these issues and even improve upon the original design. 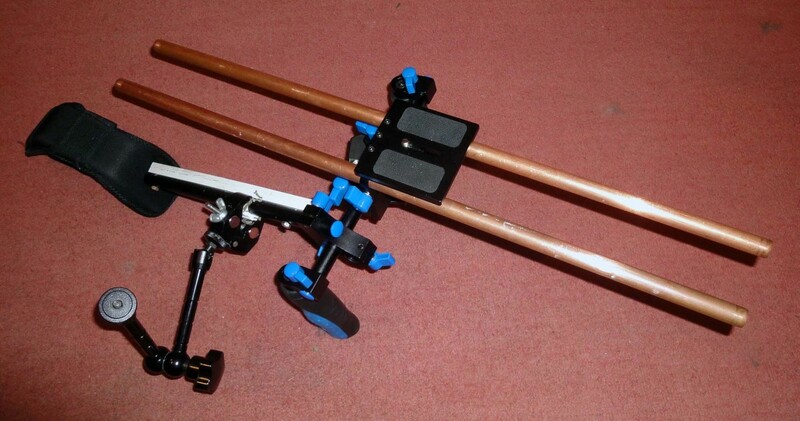 An 11 inch articulating magic arm and support clamp for attaching additional camera equipment e.g. 7 inch LCD. 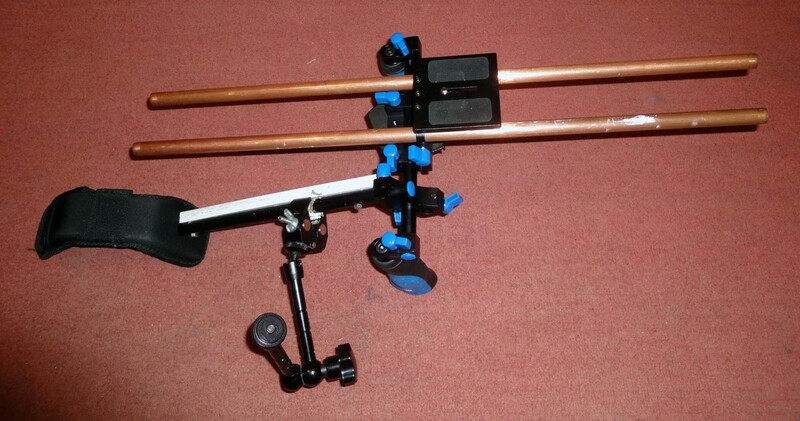 Shoulder Rig with camera plate on top of parallel supports, hand grips below, and articulating magic arm and support clamp. Shoulder Rig adjusted for left shoulder with camera plate on top, hand grips below and articulating arm and support clamp on the right. 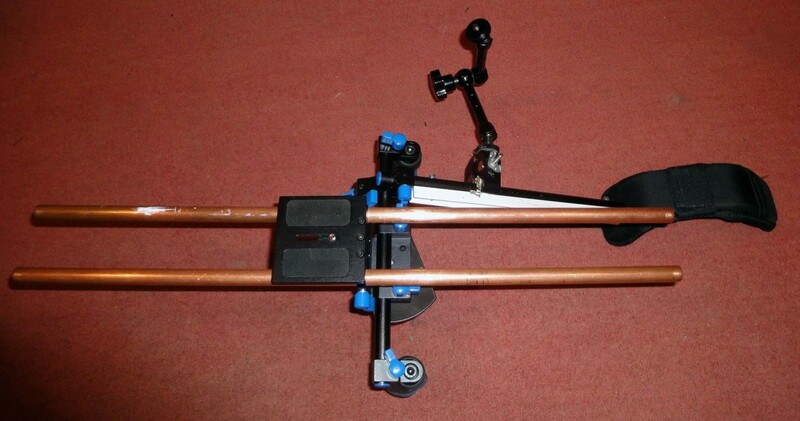 Shoulder Rig with camera plate and articulating arm and support clamp. Long gone are the days of developing prints and enlargements from negatives in the dark room, these days post production, printing and storage is all done from the computer. The choice computer for many people working in media and multimedia is the iMac or iMac pro if you're doing it professionally; or sometimes a multimedia PC (which is my preference). A multimedia PC comparable to the iMac Pro in power and performance is just as expensive to buy or build as the cost for a iMac. There are no shortcuts if you want the power and performance of a multimedia workstation whether it be an iMac Pro or high range multimedia PC e.g. you get the performance you pay for. The favoured software for post-production is Photoshop, although for the amateur Paint Shop Pro is just as good, it has 90% of the features of Photoshop at the tenth of the price; I'm quite happy to use either for most of my photographic post production work on the computer. For video editing Pinnacle Studio is the the choice for a multimedia PC and for iMac users Final Cut is the choice program but unlike Pinnacle Studio is extremely expensive. Having decided whether to use an iMac Pro or multimedia PC for your photo editing and having chosen your editing software for post-production the issue remaining is storage. 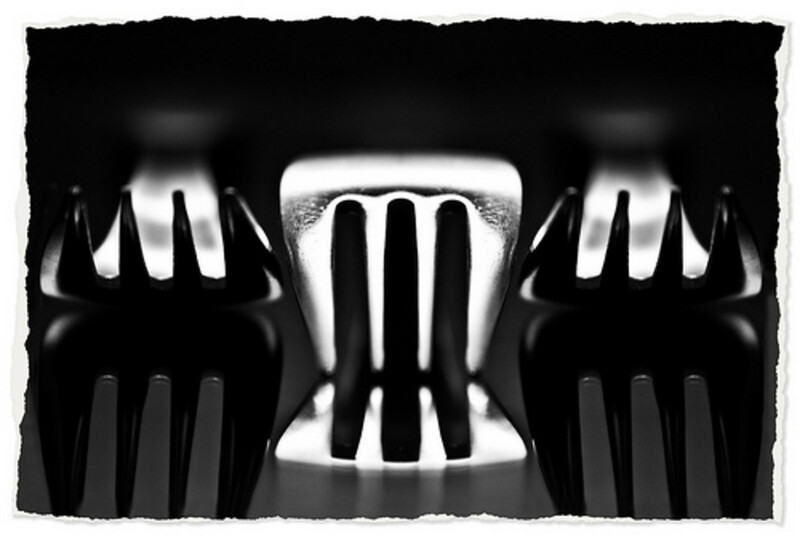 These days raw image photo files (often 20 Mb or bigger per image) and with digital photography taking hundreds of photos per session you can quickly eat through your disc space storage; especially when you should never work on the original images themselves but copies of them so that you can go back to the original at any time and start afresh. The situation is compounded if you also film and edit videos; on standard definition (in Britain, PAL 25) the master uncompressed DV (Digital Video) format is about 12 Gb per hour of recording, and for uncompressed HD (High Definition) video 120 Gb per hour. Therefore, if you take modern digital photography seriously as a hobby, semi-professionally or professionally you will most likely in time build up a bank of external hard drives or storage and backup. Having lots of external hard drives on your computers workstation can take up a lot of valuable space on your desk. With this in mind, I recently made an equipment rack from scrap wood to store a bank of external hard drives; and you can read more about this in the article featured below. Back to basics with the early cameras in the days before digital photography. To understand modern photography it pays to understand cameras in the early days when photography was in its infancy. Since the introduction of the first Kodak camera by George Eastman in 1888 we have come a long way, although it's been a long slow road. For over a century cameras technology didn't change a great deal, they were all basically a box with a lens and light sensitive film at the back onto which the image was created; the negative from which prints could be made. 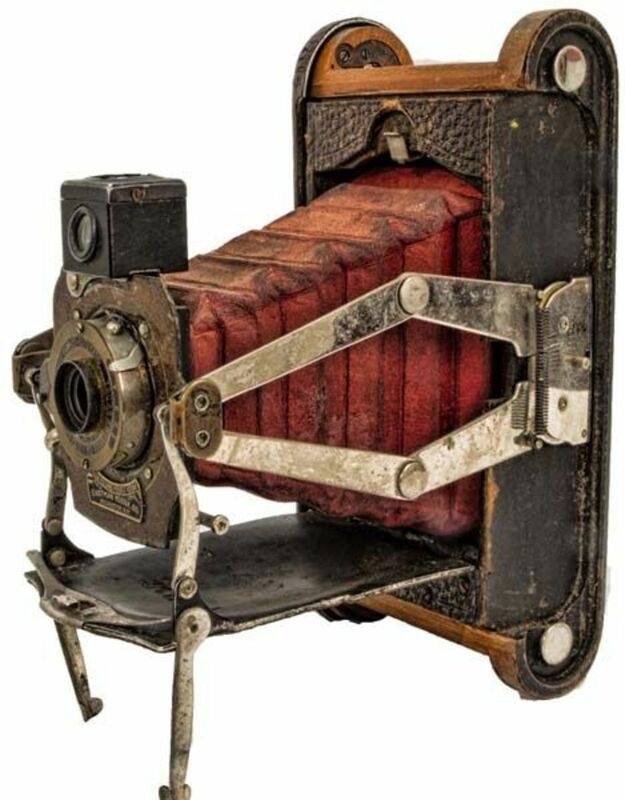 These early cameras created analogue images, initially in black and white, sepia and variations in browns and shades of greys; with colour photography coming later. It was during this period of camera development that good photography techniques and principles were laid down, such as the third split rule where the screen is divided into three equal parts vertically and horizontally as a guide for taking better pictures e.g. the beach in the bottom third, sea in the middle third and the sky in the top third of the picture. Lighting and exposure were also explored, as was the importance of shadows and contrast with techniques and equipment, such as the development and use of the light umbrellas and suitable backdrops for portraits. Only in recent decades have digital cameras been developed to replace the old roll and film cameras but many of the techniques and equipment used in the formative years of photography are just as valid today as they were all those years ago. My son was fortunate in being donated a small collection of over 16 vintage and antique cameras, by a close friend, so that he can use them as props when filming period costumes, products and settings in his makeshift studio. Interfit Photographic Limited: Studio Lighting and Photographic Distributor, specialising in Interfit Studio Lighting, Interfit Studio Flash, Lighting, Studio Lighting Photographic Products. Proper Job Productions - Multimedia Productions specialising in Professional Photography and Video Productions for Gigs, Weddings and Special Occasions. Proper Job Productions is a Multimedia Production Business specialising in Professional Photography and Video Productions for Gigs and Special Events. Photo editing software packed with easy to use editing, creative effects, restoration, portrait enhancement, scrapbooking and organization tools as well as much more. Do You Light up Your Subject? How do you take your photographs? This is an amazing lens, that I will have to refer back to......Thanks for building it. @LisaDH: Thanks, yes a very good point, I have given it less prominence at the bottom of the page. You've got some really great suggestions here on saving money. But a 5D Mark II on a page about photography on a shoestring? You might scare some folks off before they get to the good stuff. Great lens! I really need a new camera, and keep putting it off. Hi thanks for sharing all the great info and tips. Blessed by Squid Angel flinnie. Great tips! I've taken some photography classes and they were a great help. Blessed! A ton of great information, thanks! Great lens.. Its really amazing.. I am fun of photography and I get a good bench of information through your lens. Thank you very much for sharing. Awesome lense with great ideas. Great purchase ideas also - thanks for the help !!! Great pics and info. I love the ol' camera, its definitely a classic. Thank you for sharing this wonderful info. Well done... lot's of great information. Congrats! Very good lens lots of information. Thank you. This page is ever so detailed and informative, a really nice tribute to photography on a shoestring budget. Only one suggestion to possibly improve it... you write really really really LONG sentences, some are an entire paragraph. I'd chunk the text up into smaller bite size pieces if I were you, makes it much easier to read. Blessed. Thank you for such a detailed informative lens. Good luck to your son in his career. I have a Minolta SRT101, but alas, no one makes or develops 35mm film that I know of. I loved taking pics with that Minolta. It was a very fine camera. I would love to have one of those quality cameras, but I will have to be content with my Canon A160 PowerSaver. It really does take very good pics. Great insights here :D I love photography but don't have a big budget and this lens helped me. Wow! You have so much useful information here! Thanks for sharing! Great post..very informative for amateurs! Wow great guide, thank you so much for sharing! This is a great guide for amateurs as well as professional on a budget. Great way to jump start a career without breaking the bank. I like how you've explained some of the concepts behind the recommendations. Thanks! Wonderful lens. I have a Cannon SLR and Panasonic lumix, but seem to use my iphone the most. It is easy and I usually have it on me when I see a photo op. Great illustrations of what you have done. great work! i enjoyed reading this. Thank you ... this is excellent information for photographers. 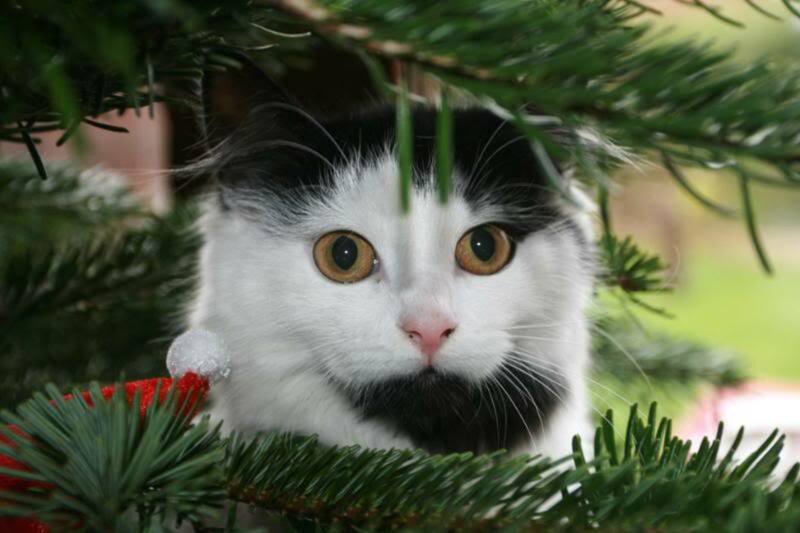 The kitty is cute too! Lots of info here! Great lens! Wow, this is a really comprehensive lens! I would love to get into photography, but so far it has been too cost prohibitive. I'll have to look at it again with your info! Be patient and enjoy the whole experience. 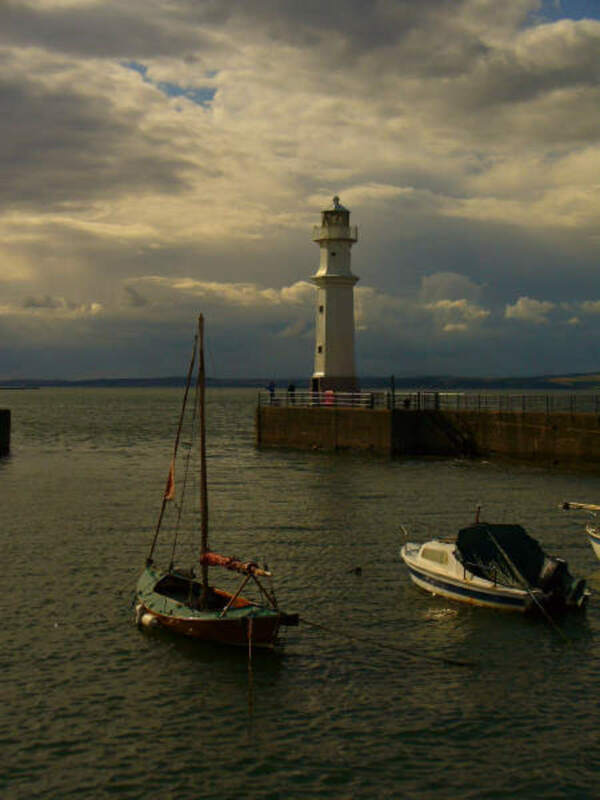 This is an outstanding lens, thank you so much for sharing. I love the photographs and intricate detail. Blessed by a Squid Angel. A very detailed source of information. Probably need to get a green screen one of these days. VERY well done. And excellent resource. fantasic - there is so much information here - thank you! Quite the excellent lens - I need to get myself a decent camera. Gonna save this one! Blessed by a SquidAngel! i personally use pixlr. 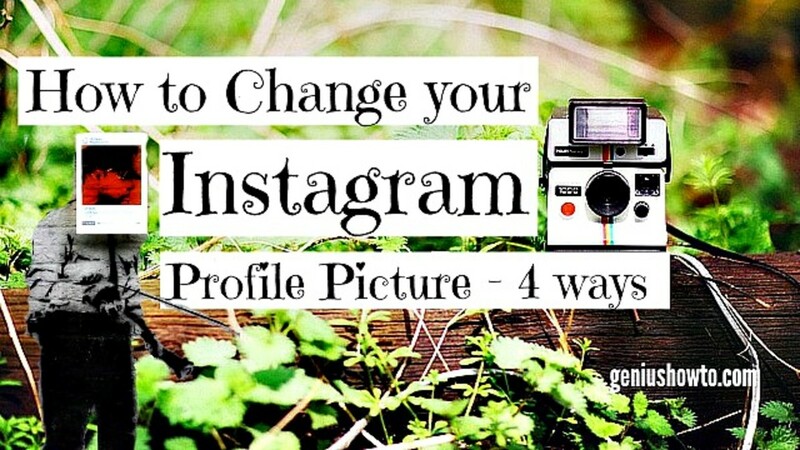 it gives the photos a vintage look, just like what you get when you are using instagram. and it allows you to modify the photos as well.. thanks for sharing a lot with cameras and props building. learned a lot!! What a super content filled lens. Really great job! A lot of information ! Thank you for sharing ! Thank you for publishing this comprehensive guide. Such an amazing resource! Who doesn't want better pictures? This is a very helpful and informative lens for any photographer. Interesting story. Best of luck to your son in his photography career. I enjoyed seeing the photo of the vintage camera and reading the name George Eastman on this page as I grew up in the Rochester, NY area and most of my family for several generations worked at Kodak at one time or another. Rochester has the "George Eastman House", a museum filled with vintage cameras and more... telling the story of Kodak. I would love to get a beauty dish. With your amazing gift for thinking outside the box, you are to go to person for innovation that seems to be endless and you've done it again here in your usual style! Great topic! I am always looking to do things economically. 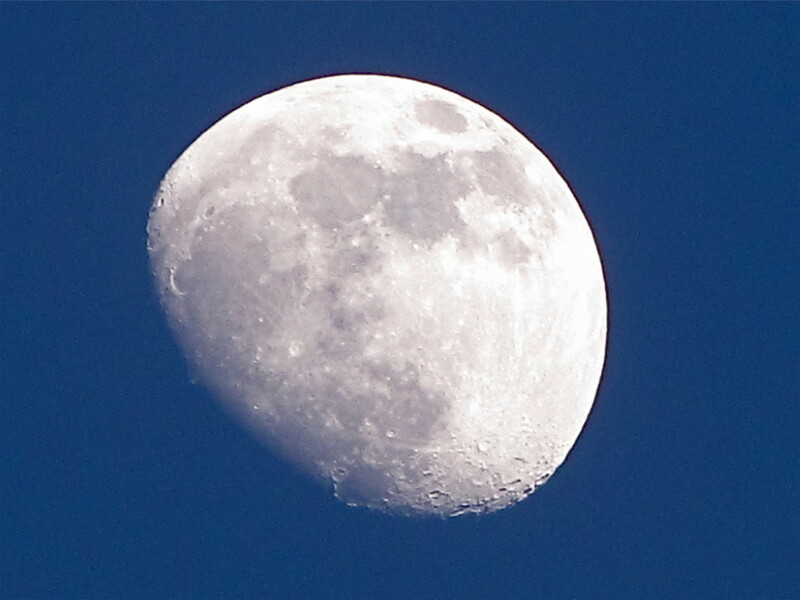 I also have an increased interest in photography since joining squidoo! Thanks for sharing! I love to take photos, and this lens is full of great information, and great products for the beginning or advanced photographer. An absolute wealth of information here - thank you so much! Great work.